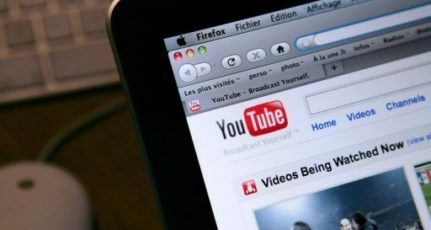 One of the fastest ways to make money from your YouTube channel is to get interesting projects from brands. The challenge for a YouTube creator like you and me is to find such deals. This is where influencer marketing platforms come into the picture. ViralBao is a new entrant into this industry. 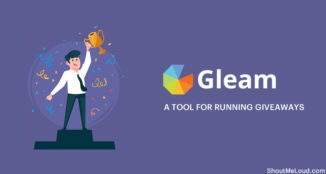 In this guide, I will share how to get started with his new platform. 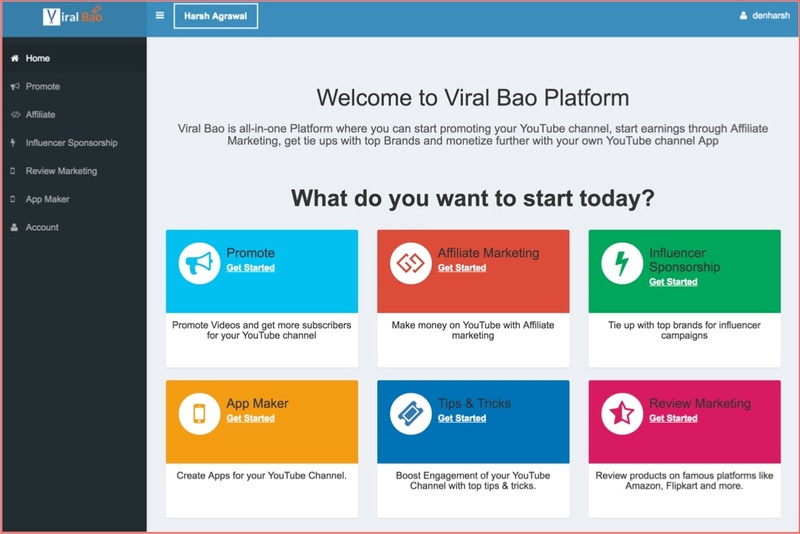 ViralBao is an all-in-one platform where you can start promoting your YouTube channel, start earnings through affiliate marketing, get tie-ups with top brands and monetize using your own YouTube channel app. The idea of ViralBao seems interesting and the app looks solid. Therefore, I decided to give it a try and share my experience with you in this article. Head over to ViralBao and enter your email and the YouTube channel name. 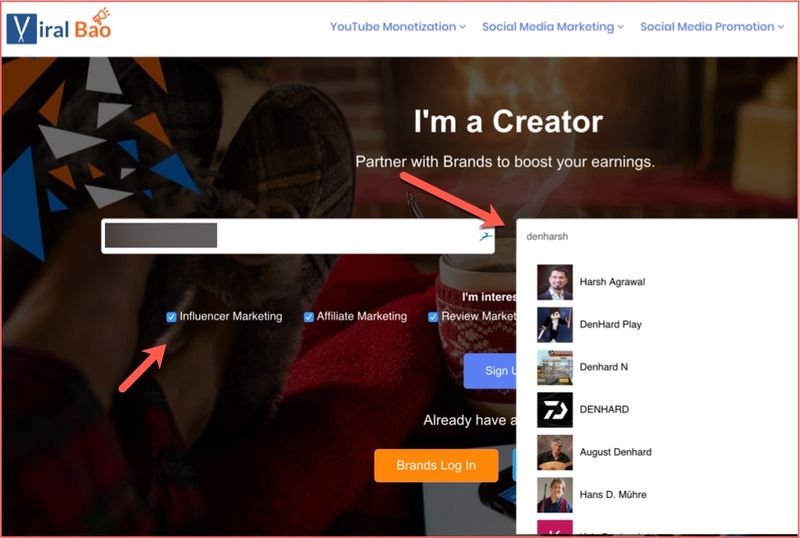 The system automatically fetches and suggests the YouTube channels from where you have to select yours. 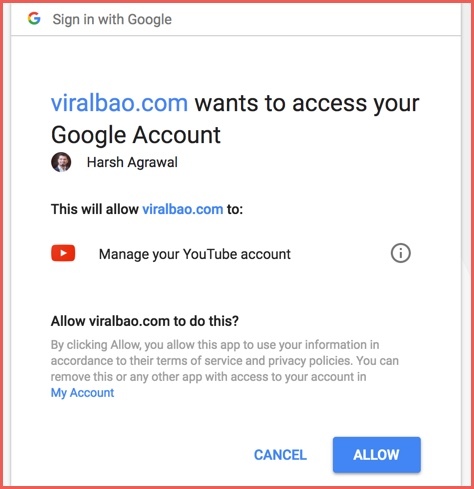 On the next page, you need to give ViralBao access to your YouTube channel to fetch stats and everything else to help you monetize your YouTube channel. Now, click on the activation link in your email to get started. On the first page, you need to set up a password for your account. (A reminder for you to use a password manager like Dashlane). 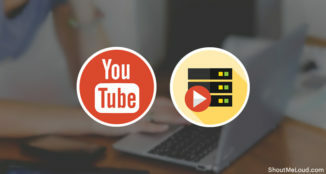 Promote: Lets you promote your YouTube channel or other videos to get more likes, views or subscribers. Affiliate Marketing: Lets you get affiliate deals. I believe its more like a CPA network such as AdCombo. Influencer sponsorship: This lets you get deals from brands. In my opinion, it’s a real money maker for any YouTuber. App Maker: Lets you create an Android and iOS app for your YouTube channel. Let’s explore the YouTube Channel app maker. 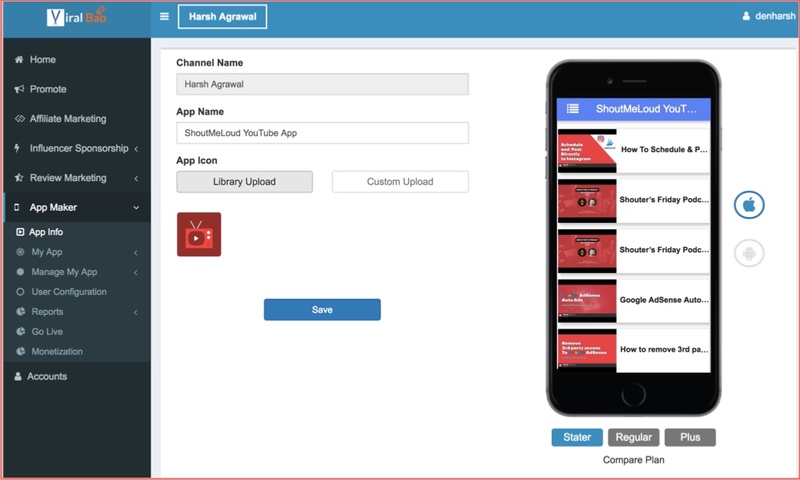 This one lets you create an Android and iOS app for your YouTube channel. A great way to start marketing your YouTube channel on the popular iOS app store as well as the Android store. Before you get too excited, let me state the fact that the app creator is not free. However, it’s reasonably priced and for a serious YouTuber, it’s definitely worth investing. For a regular plan its about $99.99/year for iOS and Android version which is pretty decent. However, I found their app publishing price to be very high. You can publish yourself on Android play store for $25 but the price here is $99. The pricing for iOS app publishing is $99 which is alright. However, I could not find the difference between Standard and Advanced publishing. You may have to explore that on your own and write to me if you find something. 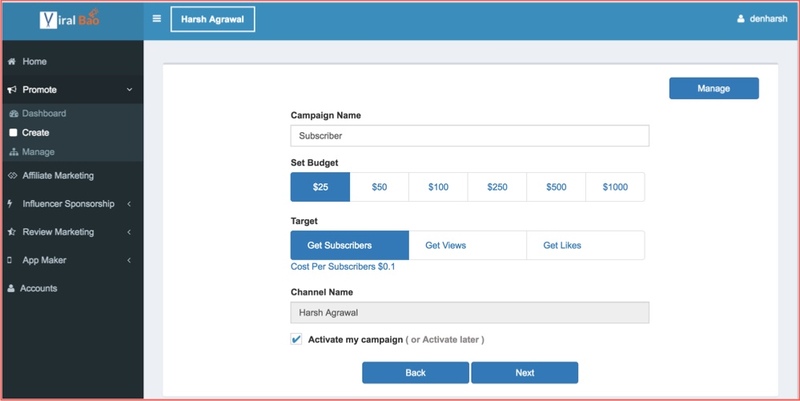 The Promote section lets you promote your channel to get more subscribers, views or likes. They have the Free and Pro options. For Pro, they offer $25 credits which is worth signing up for. I created a campaign using the credits straight away. I was hoping that they don’t ask for my credit card details. And guess what, they didn’t. Tip: Create your first campaign wisely as you can use free credits of $25 for that only. 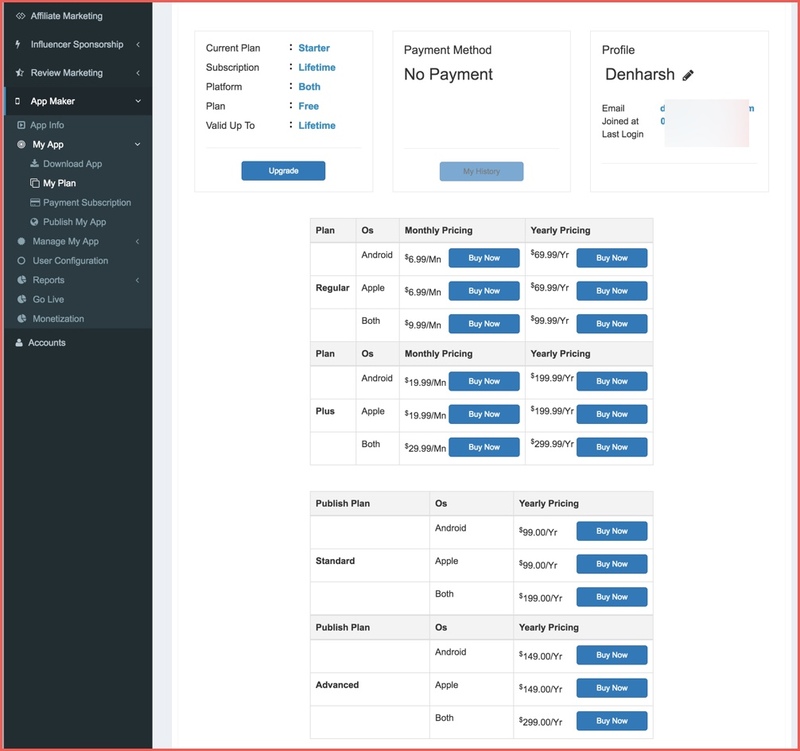 For the next campaign, you need to provide your credit card details, something that should be done only once you have tested the platform. This section was rather disappointing as I was hoping to find some useful tips. Instead, it lacked actual tips and turned out to be a promotion of their platform. I hope they work on this bit in the coming days. I also signed up for the Affiliate Marketing and Influencer sponsorship part. They make the payment directly to your bank account or via PayPal. 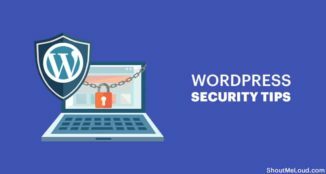 I’m yet to get new offers and once I have more to share about ViralBao, I will update this article. 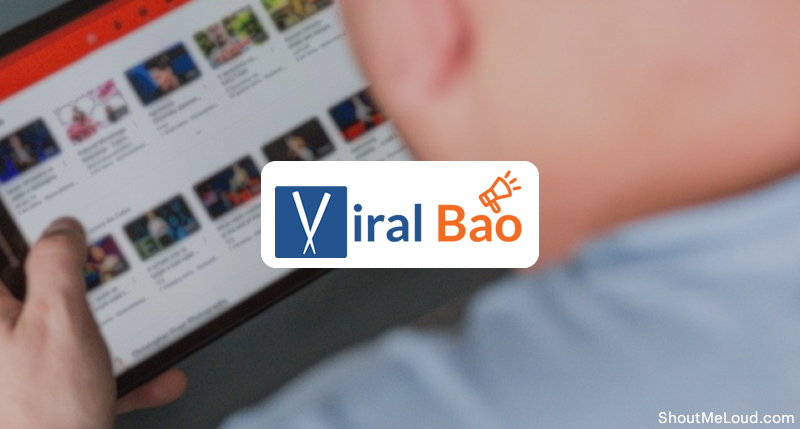 This is just an introduction and by no means a detailed review of ViralBao. For now, go ahead and test out the platform. Make use of the $25 promotion for your channel. You never know when you start getting some serious influencer marketing deals to monetize your YouTube channel in a big way. Also, do come back and share your learning and experience with me and other Shouters in the comment section below. Also, if you know of more working influencer marketing platform which helps publishers find great deals, share that with us. 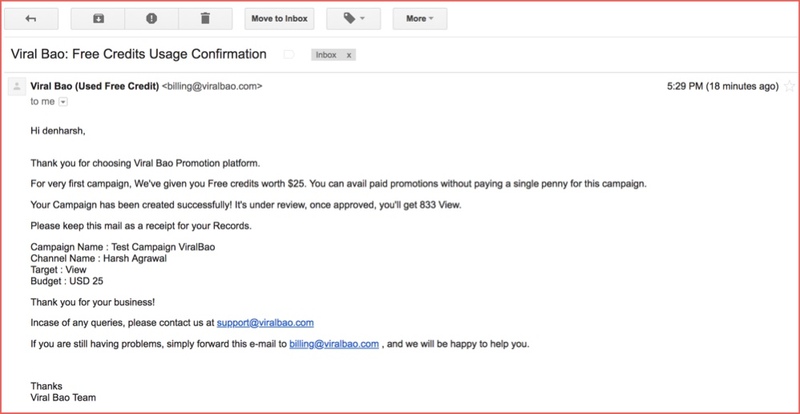 Thank you Harsh for letting us know about Viralbao, Do they provide sponsorship to small youtube creators with less than 5000 subscribers? Hello harsh agarwal air,I believe this is best because my friend told me that he used and got more subscribers. ViralBao is a good platform. 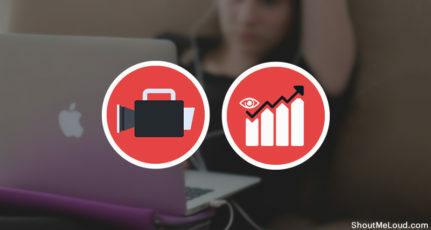 ViralBao is a good platform for YouTubers looking to spread out their earning potential and get sponsored products. Thanks for sharing the review, Harsh. 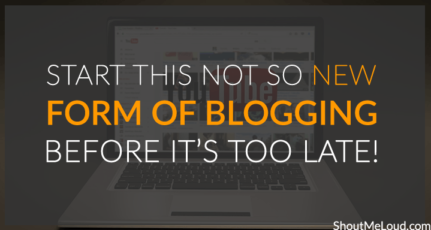 I am ur biggest fan sir, I just started my blogging carrier after reading ur blog guide here. 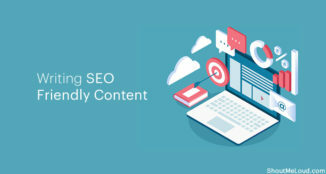 You are doing an absolutely perfect thing to encourage newbies like me, blogging it’s like a game of ” mind mapping” if u cant think properly u cant write anything ORIGINAL. Thanks a lot for your efforts. Finally a platform for paid YouTube channel Sponsorship.. 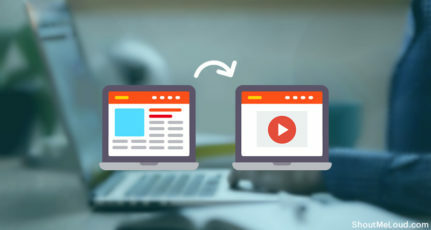 It can not only engage more user and increase Subscriber, Views, Likes etc, also optimize your channel with their tips and tricks. More than that is its pricing plans are good. Thanks for Sharing Harsh Sir. 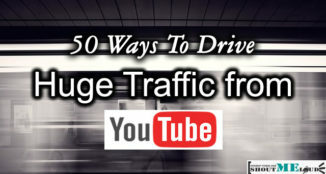 I want to say Thank you for sharing this cool options for monetization of our YouTube channel. 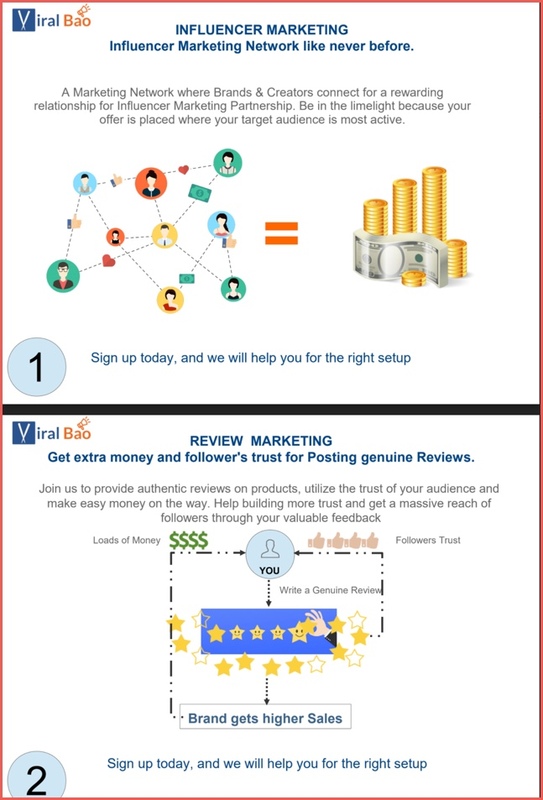 I read about Viralbao, it is an amazing tool to increase our earning potential and sponsored products. Very well explained, Thank you for the review! hi harsh thank you for letting us know about viralbao,,,this viralbao is best way to engaging more users and subsribers . thank you for sharing this great review. What is the minimum requirement for monetizing youtube channel please suggest me. Creators must have 4,000 hours of overall watch time on their channel within the past 12 months and have at least 1,000 subscribers.